Exceptional doesn’t just happen. It is only by consistently exceeding every expectation of quality and service that a business can establish itself as the leader within its chosen field. Such is the Burr Experience. From the beginning of the process of purchasing a Fleming Yacht until its resale, Burr Yacht Sales surpasses each client’s expectations. When a boat broker who works on commission has just one role – to close the deal – the information gathering process can feel rushed and incomplete. 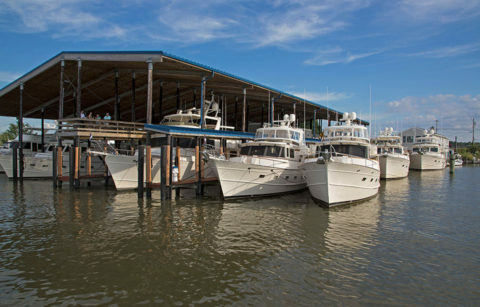 At Burr Yacht Sales, no one works on commission, our only concern is making certain that you and your family acquire the right boat for your needs, even if this means suggesting a different Fleming Yacht than what you were initially considering. The person who owns one may also be an avid boater who appreciates just how exceptional the Fleming brand is and has worked toward the goal of owning a previously-cruised one.The one thing all Fleming owners have in common is a desire to possess an incredible motoryacht, and each type of buyer is equally important at Burr Yacht Sales. Because we know our clients will likely be owner-operators, we understand how critical it is that every Fleming we sell fit the specific requirements of each person. During your consultation we’ll ask questions about how you’ll be using your Fleming so that we completely understand your needs. We’ll also fully review the features of Fleming yachts as well as the hull-to-hull differences. After providing you with as much knowledge as possible about the vessels and the Fleming brand, we’ll begin working to find you the correct hull. Purchasing a new Fleming Yacht is akin to building a custom home; it is a thoughtful process, one that is efficient yet never rushed. Once you’ve decided on the size of the hull and general specifications, the building of your Fleming begins at Tung Hwa Industrial Company, which is exclusive to the construction of Fleming yachts, in Taiwan. 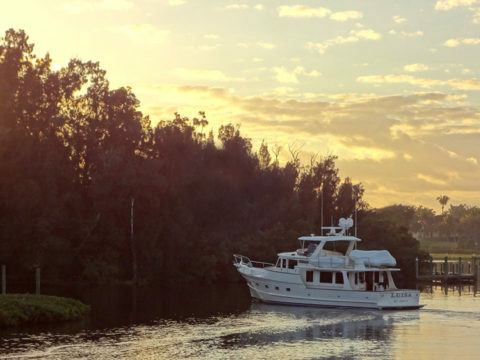 As this is happening, we’ll begin to work with you in choosing the layout options and configurations which will allow you to operate your boat with confidence and ease. Because of the constantly changing technology in navigation and audio-visual systems, we finalize these selections toward the end of the building process to take advantage of the most current products available. When your Fleming arrives via cargo ship on the East Coast it will be met by members of the Burr Yacht Sales team who will handle the required paperwork and prepare the boat to enter the water. 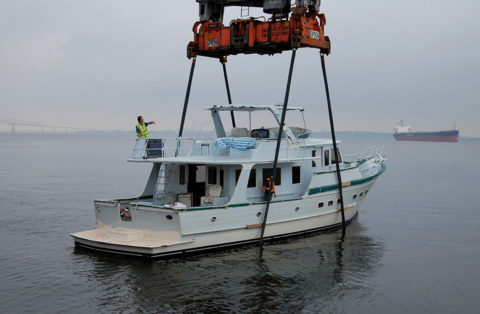 Our team then delivers your boat to our Edgewater, MD location where the commissioning process ensues. The systems – everything from the custom mast to the navigation equipment to the sound systems – will be waiting when the boat arrives at Burr Yachts Sales, and the outfitting process begins immediately. Sea trials are then completed by our team. As these near completion, we’ll begin to acquaint you with your boat. It is the combination of a Fleming’s stable design and its sophisticated systems that make it a vessel that can be confidently cruised by a husband-and- wife team virtually anywhere in even the harshest weather conditions. Because the systems on a Fleming Yacht are quite sophisticated, the Burr Yacht Sales’ training process is extensive. Whether you’ve purchased a new Fleming Yacht or a 15-year- old one, we’ll work with you aboard your Fleming to ensure you become familiar with each and every facet. We provide you and your partner with ample hands-on training to confidently and safely cruise your Fleming anywhere with unfailing self-assurance. Wherever you take delivery, a member of the Burr Yacht Sales team will be there and will spend time explaining and demonstrating the boat’s systems. We’ll review each one so that you’ll know where everything is located, exactly what it does, and how to maintain it and, should a failure occur, bypass it. We’ll also devote a significant amount of time to having you maneuver the boat in and around a harbor to ensure you’re able to leave and enter port safely. We’ll then accompany you on a familiarity cruise. The training process ends only when you are completely confident in your Fleming, and your ability to expertly handle it, and able to fully enjoy everything it has to offer. Because Burr Yacht Sales is responsible for 60% of the sales of Fleming Yachts worldwide, we have an unmatched level of knowledge of not only the brand, but also of each individual hull; who has owned it in the past, how she was outfitted and how she was cruised, etc. 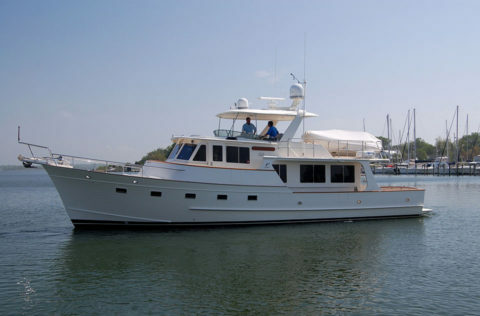 In many cases, a previously-cruised Fleming that we’re offering for resale will have been initially purchased and outfitted at Burr Yacht Sales. Our intricate understanding of the brand paired with an in-depth training process, which is provided to all buyers, draws buyers considering a previously-cruised Fleming from around the country. When you allow Burr Yacht Sales to list your Fleming for resale, you’ll have the experience of the entire Burr team working to ensure the sale is a seamless and satisfying process. Before we list your Fleming for sale, our dedicated service department will identify and fix any minor issues. We’ll also make suggestions on upgrades and updates. By taking these steps prior to any showings, there is minimal risk of an undiscovered problem coming to light once a prospective has shown interest in your Fleming. At the heart of the Burr Experience is our relationship with our customers. 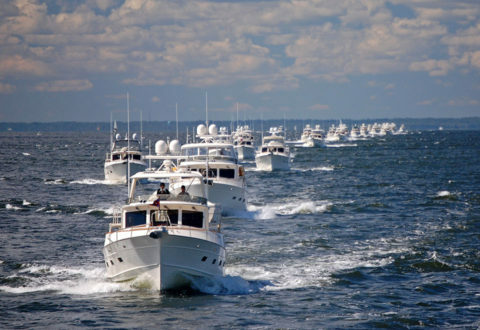 It is a relationship that, in many cases, also encompasses fulfilling the changing needs and desires of a boating family over the course of decades. When you decide you’re ready for a change, it is this ongoing relationship that will allow you to trust Burr to handle the resale of your Fleming Yacht.